No matter where you are in life, you'll always be a part of the Furman family. Strengthen your connection to our passionate community, and discover how our alumni and friends support one another. Network with leaders in your field. Connect with your classmates at homecoming. And volunteer for causes that support the next generation of Paladins. By being an active part of the Furman family, you’re not simply giving—you’re reconnecting with your biggest supporters. Furman's alumni network extends across the globe. As an alumnus, you are automatically a member. By registering, you'll receive special access to our alumni directory, address book, exclusive news, and event registration. Register with the Alumni Association today. Did you start a new job, move, or get married? 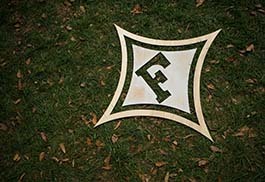 Stay in touch with Furman, receive updates on events in your hometown, and submit entries for Class Notes. Update your information. Alumni may access a password-protected alumni directory to reconnect with old friends, or discover new ones. Access the directory. Share your life-changing events, or learn about the achievements of your classmates. Read Class Notes.